DIRECTION:	3.5oz for 1 pint of cream + 1 pint of half and half. 1. Mix powder with the cold cream and the half and half until dissolved. 1. Mezclar el polvo con la crema fria y la media crema hasta que disuelva. 2. Revolver hasta que hierva. What an incredible finish to a perfect dinner. Two layers of a creamy and decadent white chocolate custard and dark chocolate custard. And all prepared with the ease and convenience of Chefwise Crème Brulee ! Summer fruits, such as peaches, nectarines and berries combined with the creaminess of Chefwise Crème Brulee, served in a sweet crisp tart shell. Simple and Elegant, seasonal fresh fruit tart, the perfect ending to a delectable meal! Pineapple Crème Brulee Cake: moist genoise cake, creamy custard, and married with the exotic flavor of caramelized pineapple. A combination of flavors, made perfect with ChefwiseCrème Brulee! Creamy decadent rich Chocolate Pot De Crème, definitely with score high points for all those chocoholics! Imagine, preparing this satisfying dessert within minutes, with Chefwise Crème Brulee . This dessert can be prepared anytime of year, with the versatility of Chefwise Crème Brulee. A layer of moist genoise cake, fresh or frozen raspberries, and creamy custard, an elegant dessert prepared within minutes! This is not just any old Crème Brule. 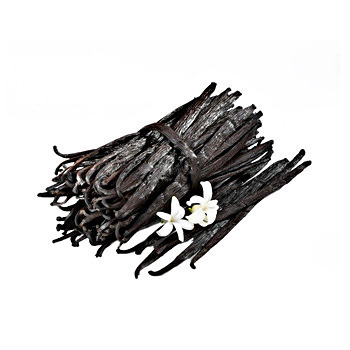 Imagine a Brownie Bottomed, Creamy Coconut Crème and Crisp Banana Brule! 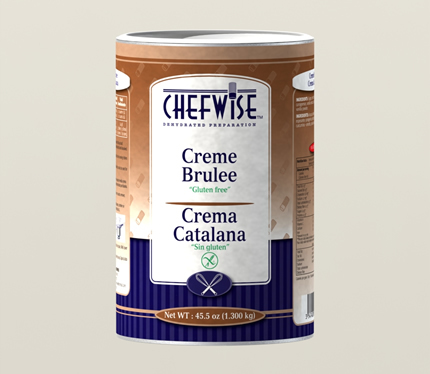 Prepared with all the convenience of Chefwise Crème Brulee, your guest will think you’ve been slaving away in the kitchen all day.